Considered undisputed by some as to its allure and perceived intrinsic value, gold has had, and continues to have, a profound impact on economic, cultural and environmental values. As sabres, and other weapons, are being vigorously rattled in the US and North Korea, investors are turning their attention once again to the metal. However, what are its merits, or lack thereof, as a portfolio holding. The most intuitive association is probably gold as a hedge against inflation. Should inflation soar, a bar of gold is unlikely to devalue. Or so the theory goes. Ghosh et. Al (2004) find that in the long-run (1895-1999) an investment in gold is an effective hedge against inflation. However, during shorter sub-samples, gold is not always such a reliable hedge against inflation. Take the nominal price at the start of 1982, $384 per ounce, to the end of 1999, $283 per ounce. The real wealth of a US investor buying gold for this period would have fallen by 59%. Nevertheless, if we were to see a bout of unexpected inflation it is quite likely that we would see an increase in the price of gold as a flight to safety would ensue. The most recent example of this is the great inflation of the 1970s (chart 1). 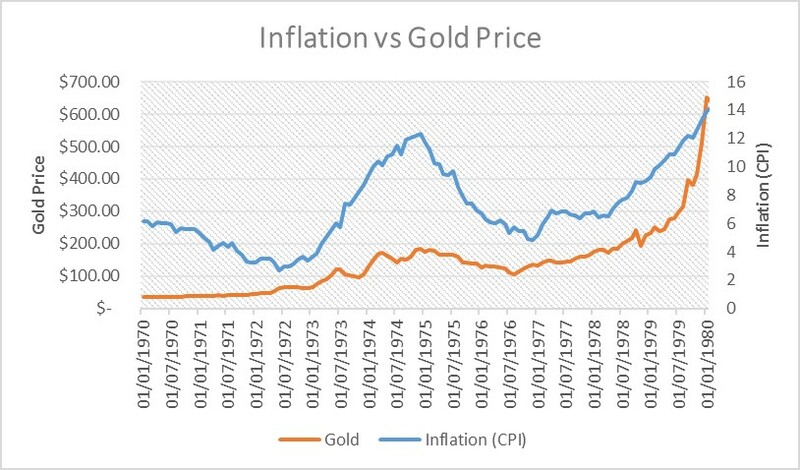 So whilst the overall link between gold and inflation is inconsistent, evidence suggests that gold is a good hedge against unexpected inflation, and the economic turbulence that typically follows. Hedge: A strong (weak) hedge is defined as an asset that is negatively correlated (uncorrelated) with another asset or portfolio of assets. Safe-haven: A strong (weak) safe-haven is defined as an asset that is negatively correlated (uncorrelated) with another asset or portfolio of assets during times of distress. The distinguishing feature between a hedge and a safe-haven is the length of the relationship. The important property of the hedge is that it holds on average, while the key property of the safe-haven is that it is only required to hold under certain circumstances. Since 1978, gold has been virtually uncorrelated to US equities, as the correlation has averaged only 0.02. The correlation between gold and global equities has been modestly higher (0.15), whilst the correlation to the aggregate bond index has only been 0.06. On that basis, it would be fair to say that, at least over the past 35 years, gold has been largely uncorrelated to mainstream financial asset classes. Whilst this does provide the benefits of diversification it also suggests that gold is a weak hedge to these asset classes. Given that gold does not appear to be a strong hedge, does it provide protection at specific points in time - i.e. is it a safe-haven asset? Since the early 1970s there have been seven recessions in the US, and the correlation between gold and equities has been mostly negative during those recessionary periods, with gold delivering a positive return to investors in five of those seven recessions (1970, 1975, 1982, 2001 and 2009). That said, gold has actually underperformed equities in two of the seven recessions (1980 & 1991), so the record is somewhat inconsistent. Note: Bear markets are defined as a fall of 20% or more. 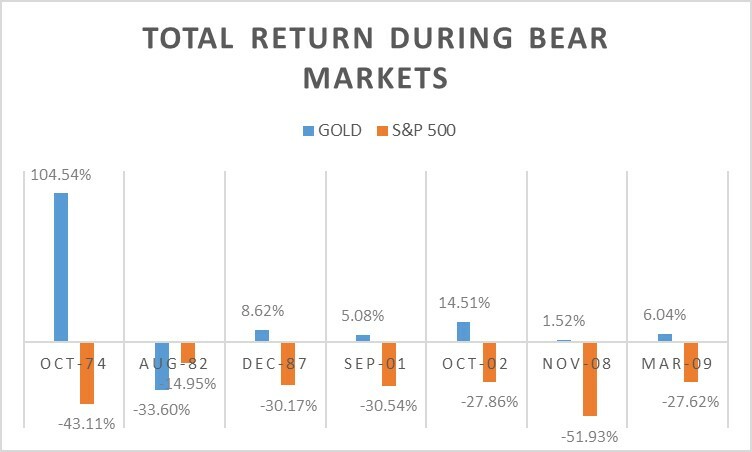 More importantly, how has gold performed when equities have fallen? The correlation during equity bear markets is negative for all but the 80-82 bear market (chart 2). Gold had already had a great run leading up to the equity bear market, which coincided with significant profit taking in gold. Otherwise, the overwhelmingly negative link between gold and equity bear markets suggests that gold’s value as a safe-haven asset is greater than its value as a hedge. So, whilst gold is not correlated to stocks or bonds, it can provide benefits of diversification. However, it is not a consistent hedge to equity risk. Yet, in instances of distress, it does act as a safe-haven asset. Whilst the link between gold and inflation is inconsistent, the data suggests that in times of unexpected inflation, gold may serve as a useful hedge against inflation risk. With inflation rearing its head in a politically supercharged period, fortune might well favour the gold. Be careful how you own it though. Our strong preference is for physical bullion ideally held outside of the financial system, or failing that ETFs 100% backed by bullion (rather than derivative contracts). 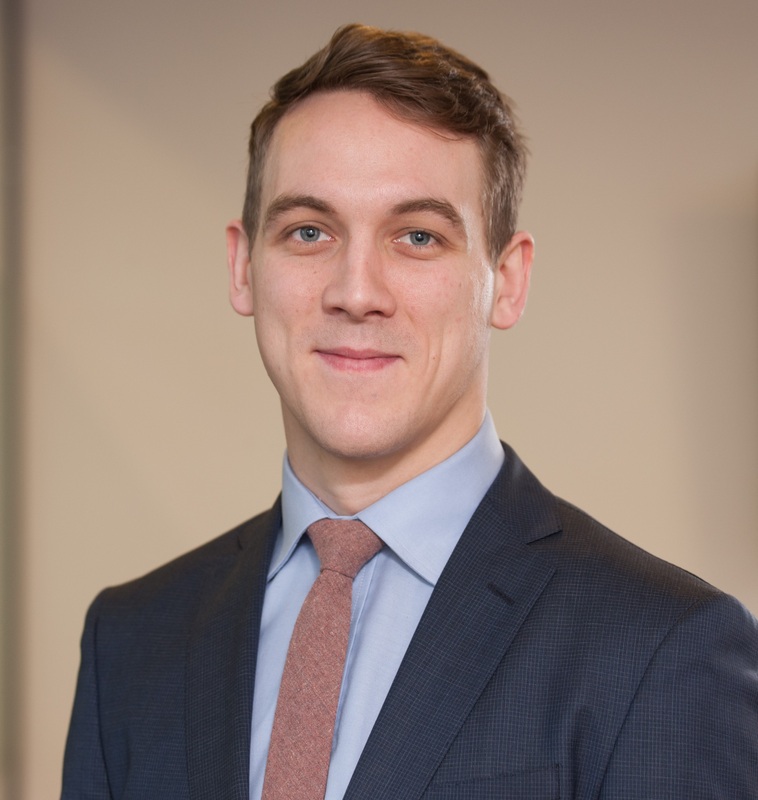 Thomas Duggan is a Research Analyst at Absolute Return Partners and joined the firm back in 2014. He holds a BA (Hons) in Business Management & Accounting from the University of Sheffield and an MSc in Accounting and Finance, Distinction, from the University of Surrey.